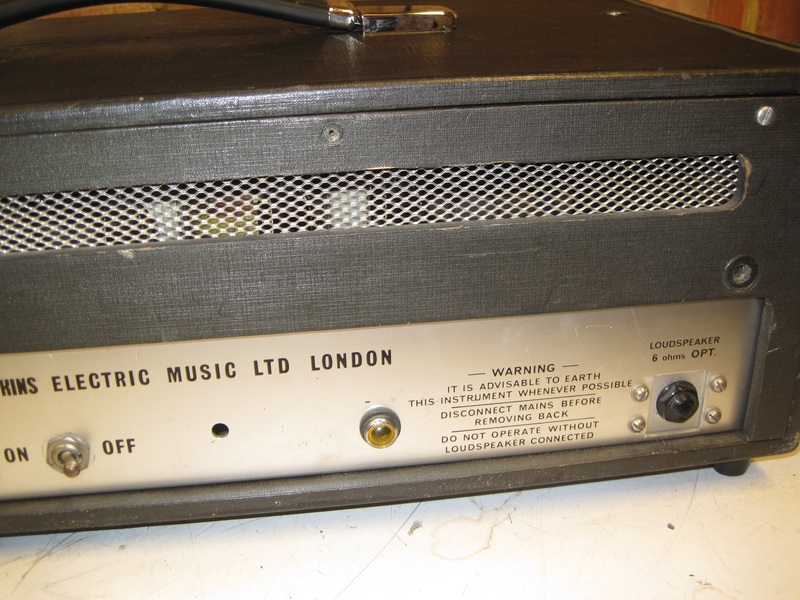 I acquired this amp in May 2017 and it dates from the mid to late 1960s. 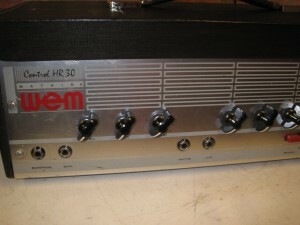 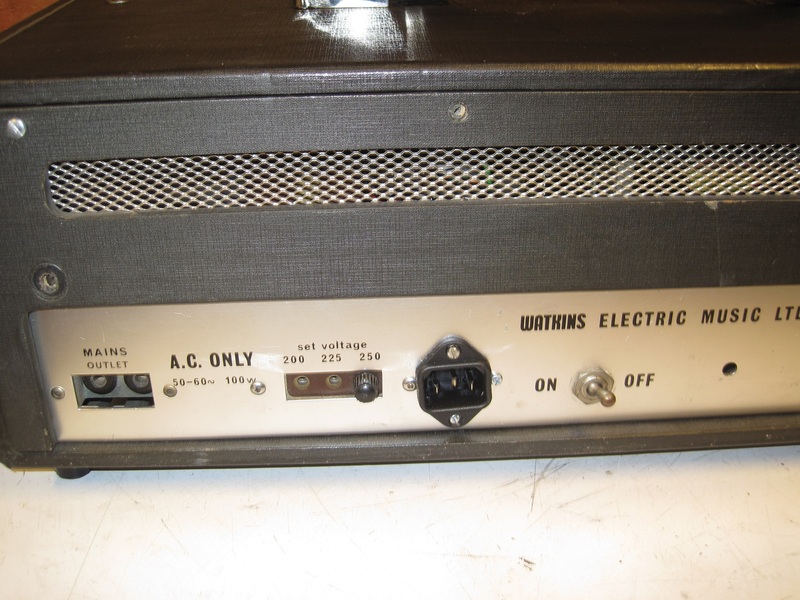 Rated at 30 watts it is powered by four EL84 valves and a single ECC83 on the power amp section and 5 ECC83 valves on the pre-amp side. 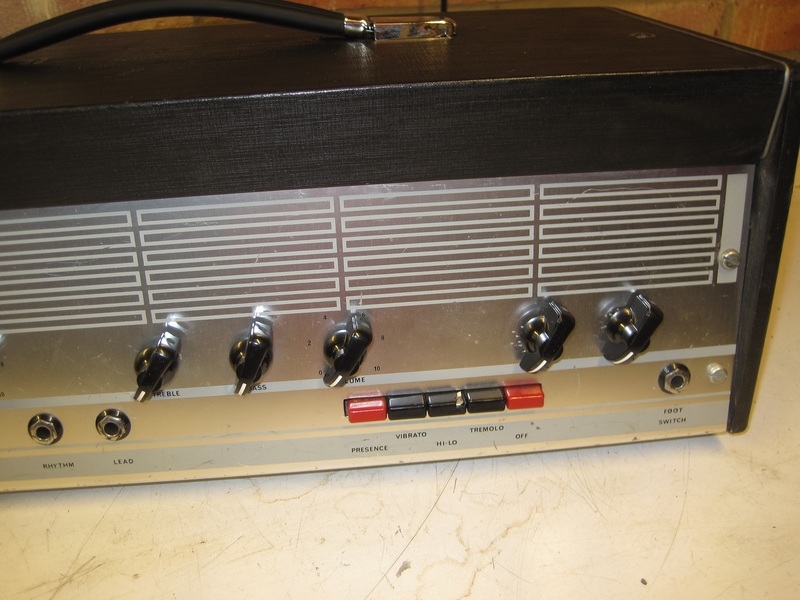 It is a 2 channel 4 input amp with bass, treble and volume on each channel and a set of push buttons to control Presence, Vibrato, Hi-Lo and Tremolo and there are Rate and Beat controls to vary the effects. 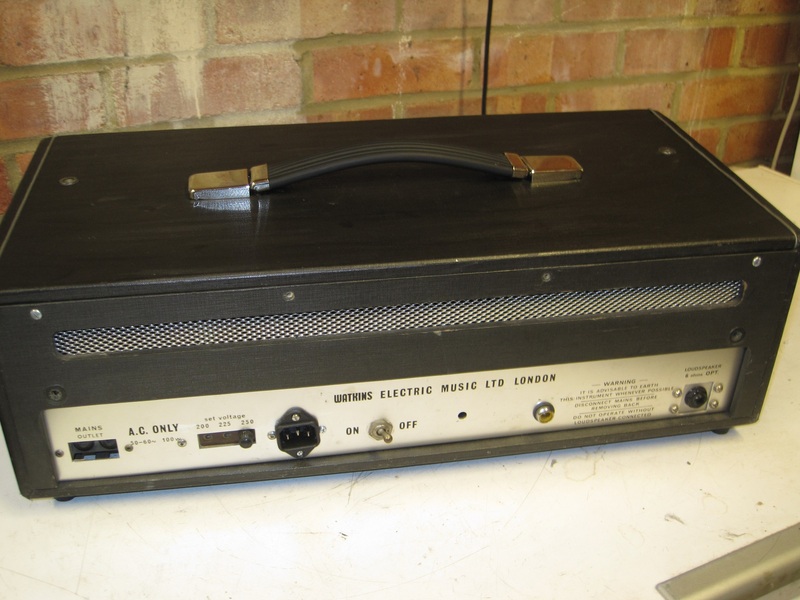 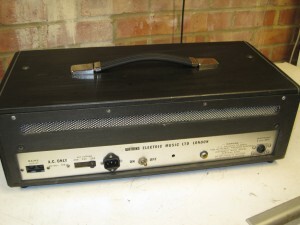 I acquired this amp in a non-working state as the power supply smoothing capacitor had shorted and caused some damage so the amp has been repaired by Ian Woledge and it’s now back to fully working condition. 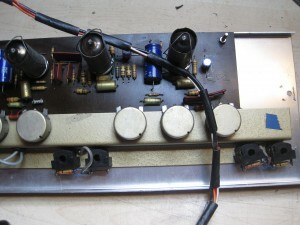 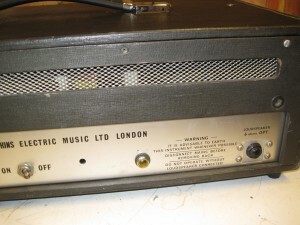 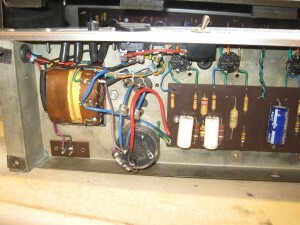 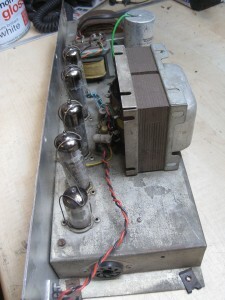 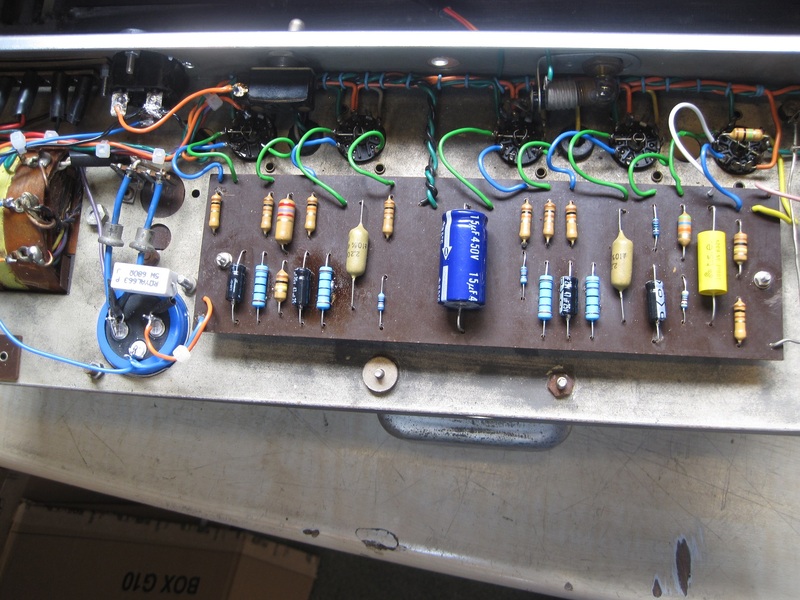 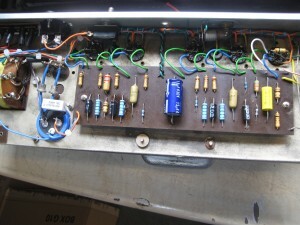 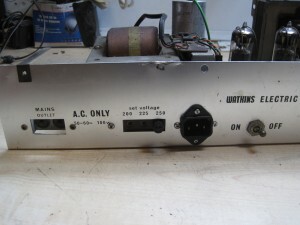 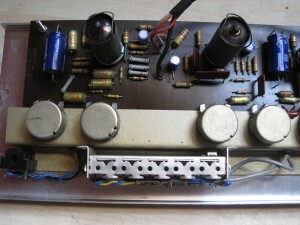 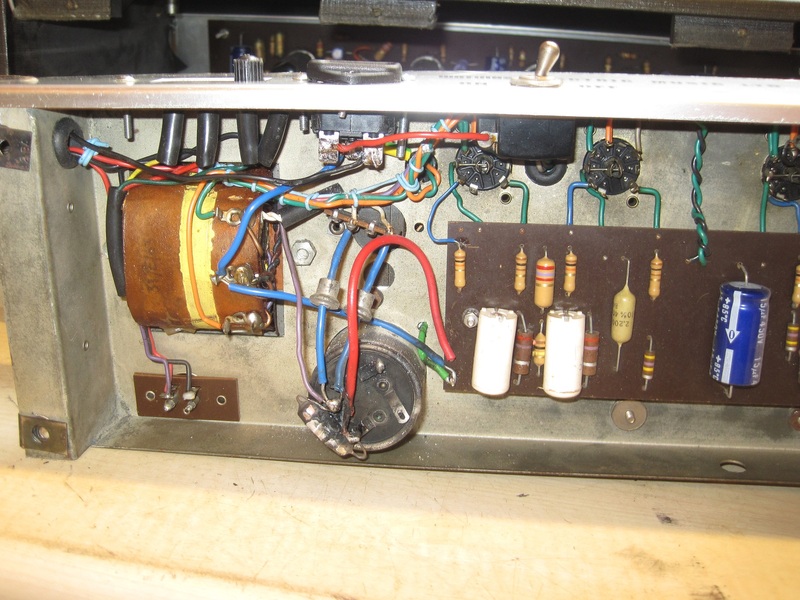 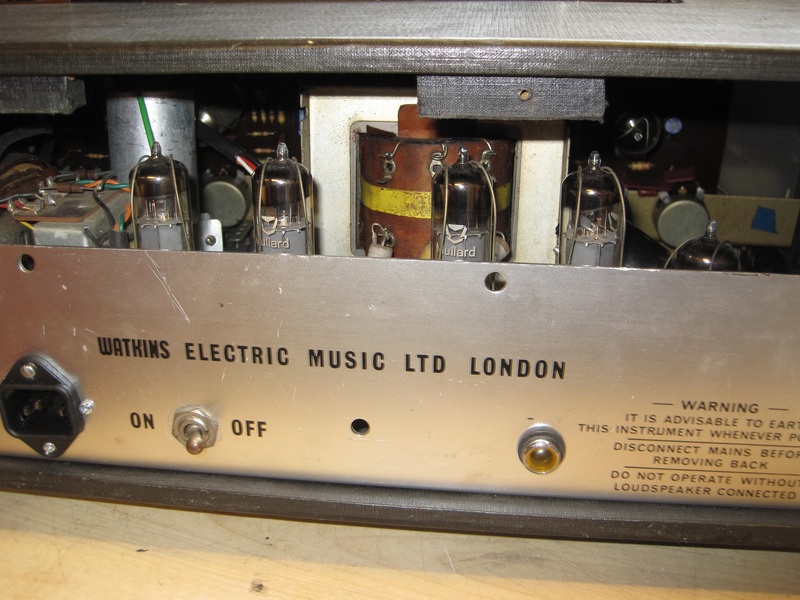 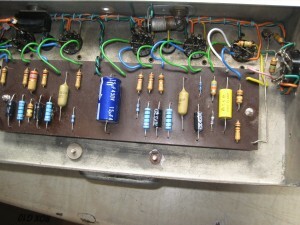 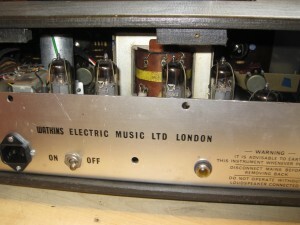 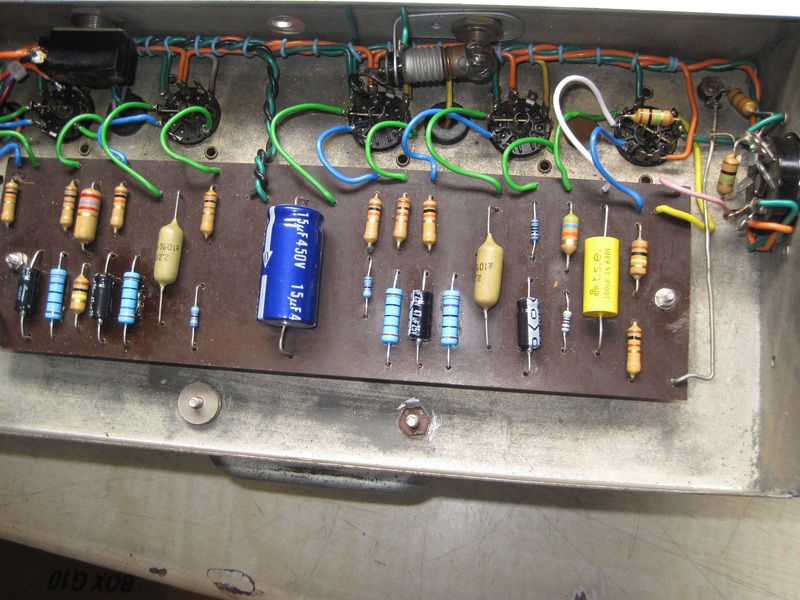 I’ve added some extra pics of the insides of the amp at the bottom of the page and these show the repairs that Ian has carried out. 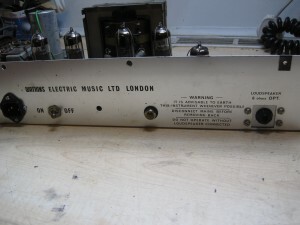 The casing was in good condition and just needed a good clean and polish although the thin grey piping on the top was missing and needed to be replaced, and the handle was badly corroded and also needed to be replaced. 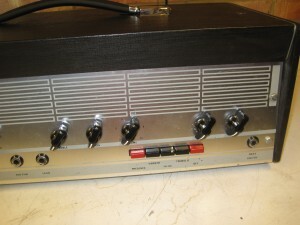 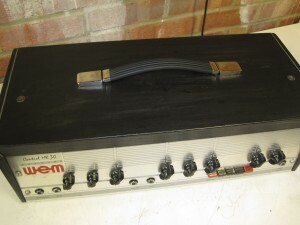 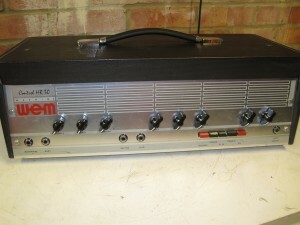 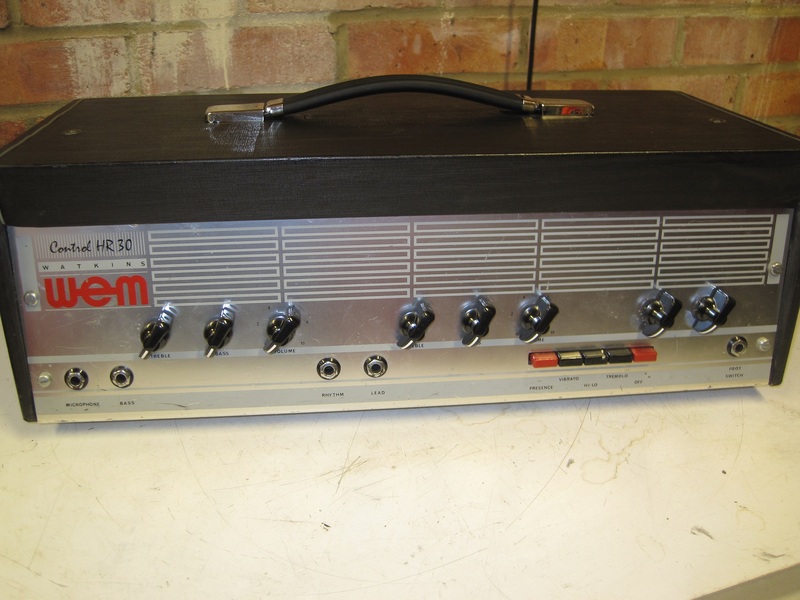 The amp was also missing its knobs so I fitted some chicken head knobs as replacements. 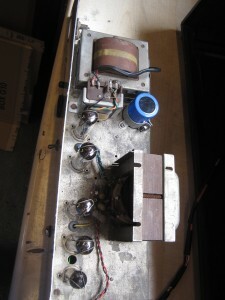 The shafts are 1/4″ which limits the type of knob that can be fitted. 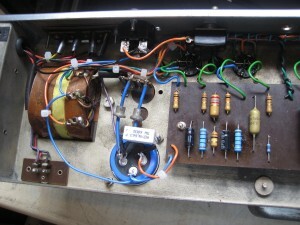 The final jobs that needed to be done were the replacing of the original Bulgin power inlet with an IEC connector, in order to meet safety standards, and to disconnect the “Mains Outlet” connectors on the back panel as I didn’t think it was a good idea to have 240 volts linked to 2 small holes on the back. This has all been done and so it’s ready ton use.